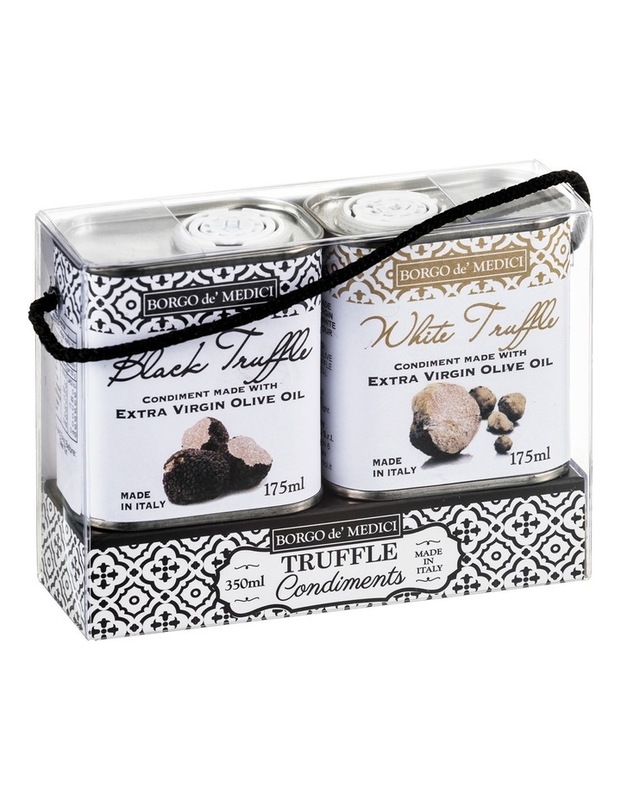 A special set of truffle condiments made with extra virgin olive oil: one with black truffle flavour and the other with white truffle aroma. Truffle in Italy is considered as a very rich and precious element of kitchen because of its rarity and of its special unmistakable scent which can easily enrich also simple dishes. Try to drizzle the black truffle condiment on egg dishes. 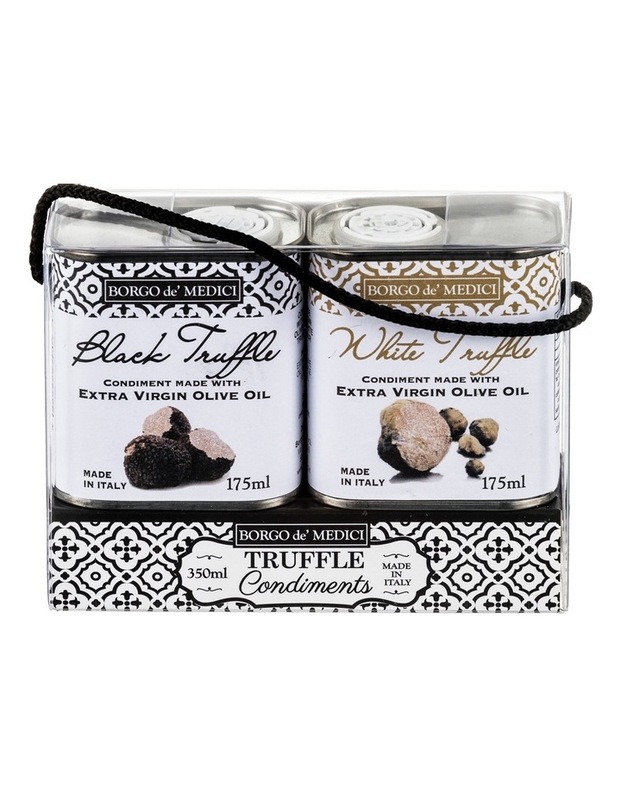 Black truffle has a lighter flavour than the white one, and its condiment can be drizzled on an omelette or on a chicken dish. It can also be used on pasta, just drained and adding some fresh grated parmesan cheese. The white one, with its intense scent can be drizzled on grilled red meat, grilled fish filet and also risotto dishes.